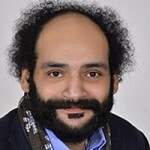 Ziad A. Akl is a senior researcher at the unit of Arab and Regional Affairs in the Al-Ahram Center for Political and Strategic Studies in Cairo. He is also the director of the program for the Mediterranean and North Africa studies, and the managing editor of the center’s website. Akl joined the center in 2005 after a short career at the League of Arab States as a researcher in the Iraq file from 2003 to 2005. Academically, Akl has a B.A in political science from the American University in Cairo, with a specialization in Middle East politics, an M.A in political science from the American University in Cairo, an M.A in Sociology from the American University in Cairo and a PhD in Sociology from the University of Leicester. Professionally, Akl has worked on diverse issues like democratization, citizenship, social movements, human security, radicalization and Libyan politics. He is the author of three books; Militia institutionalization and security sector reform in Libya, Institutionalizing the Muslim Brotherhood: the movement and the party and Misunderstanding Egypt’s Ultras.